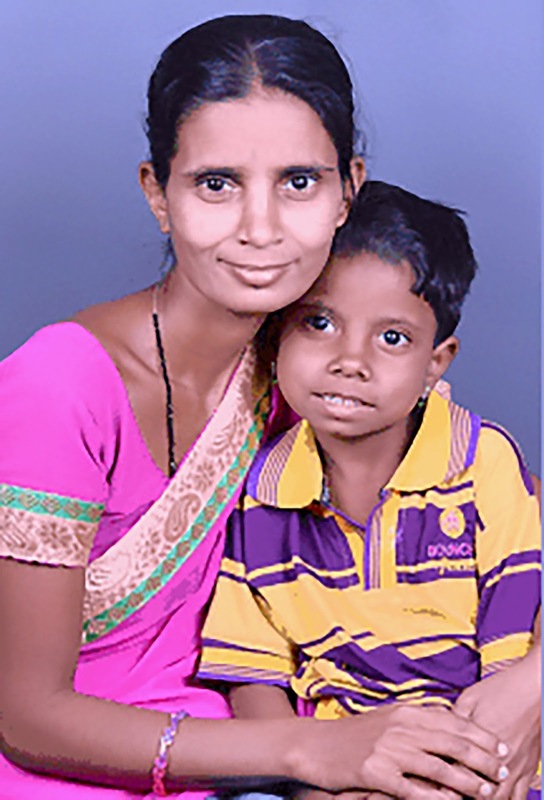 Laxmi Konda, 27, was living a marginalized life with two children and her mother-in-law. Married young, losing her husband to an unknown illness, and her own impoverished look, led people around to suspect her of being HIV positive. Routine community screening by Vision Technician S Laxman indentified Laxmi’s younger child with a vision problem, and possibly Laxmi too. He brought the family to the secondary centre at Adilabad, Telangana for a detailed examination where both were diagnosed with cataract. Laxmi confessed to having reduced vision since childhood. Fellow doctor Prabhakar Singh and Centre Administrator Naresh Rao counselled Laxmi for her fear of surgery, which she finally underwent – after a blood test ruled out HIV. She was overjoyed on finally being able to see what her children looked like. Her daughter is currently under medication to stabilize her haemoglobin levels for her surgery at LVPEI’s Hyderabad campus.